Now that summer is ending, I need to start taking more care of my skin. 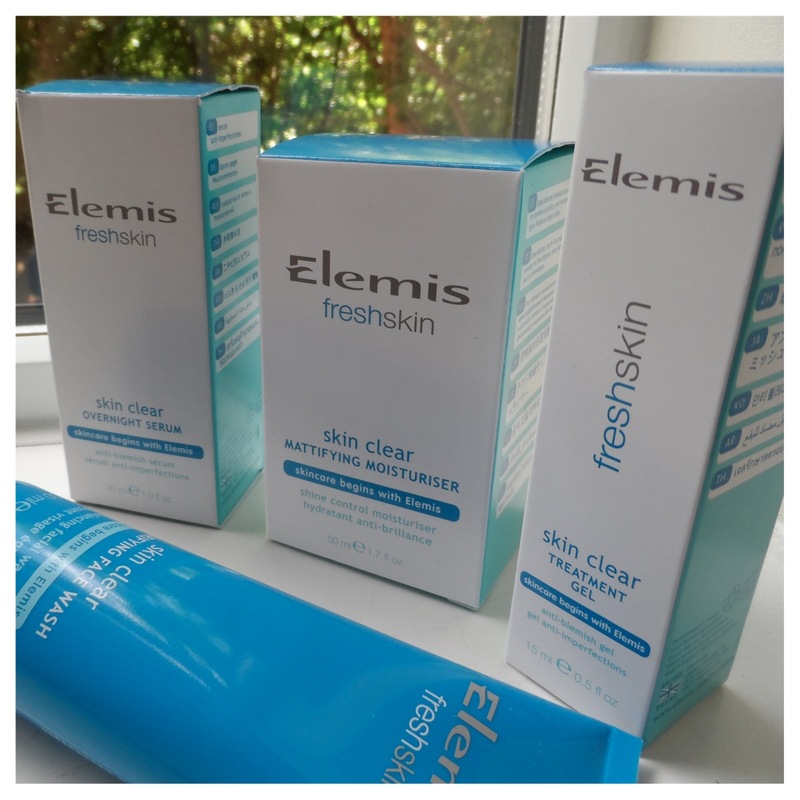 It goes so dry in the colder months and it doesn't see half as much sunlight as it does like during the summer so I was thrilled when I received this little bundle of goodies in the post from Elemis. The fresh skin range is suited for pretty much all skin types, with something for everyone. I've tried a few Elemis products before and whenever i've had facials, they have always used Elemis products - they're just a little out of my price range to indulge in big time but I have my favourite products, like everyone does! 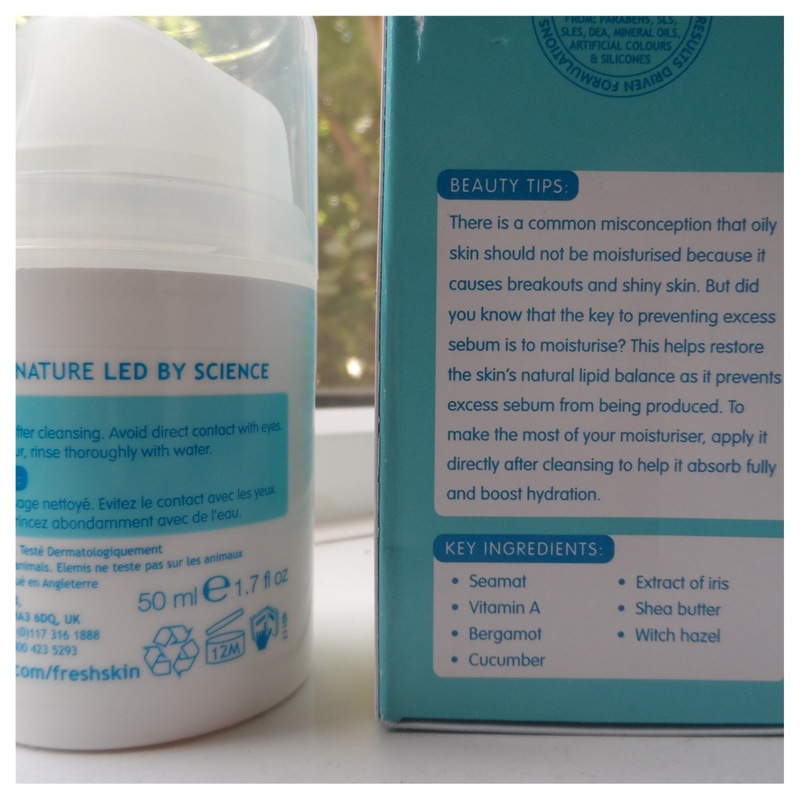 The Fresh Skin; Skin Clear range is what I was sent including: Mattifying Moisturiser, Treatment Gel, Overnight Serum and Purifying Facial Wash. I have been using all 4 for the last few weeks and although I can't really see much of a difference, it hasn't caused me to break out either which is a good sign! 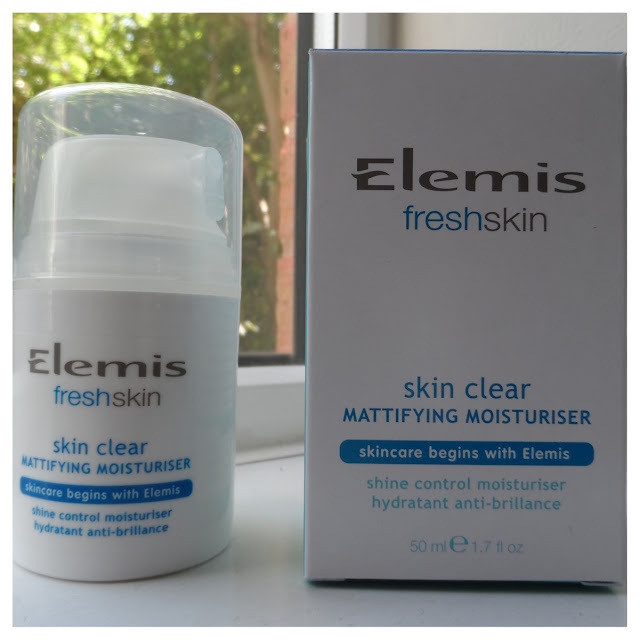 The Mattifying Moisturiser* is great to use before make-up as i've found it evens out my dry patches and leaves my skin even enough to absorb a good layer of foundation without sending it greasy or drying it out too much. I try to apply this as soon as i'm out of the shower so my pores are still open and it can work at it's best before I apply make-up. 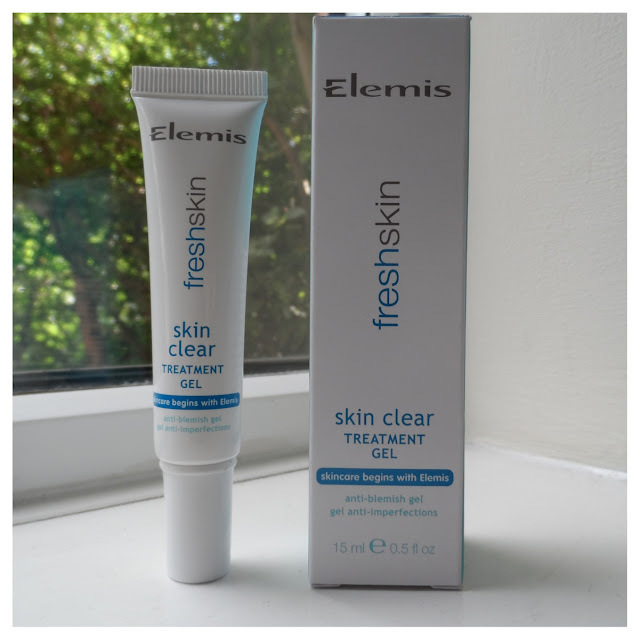 The treatment gel* has fast become one of my holy grail products. Whenever I have a spot appear (or start to grow as they do) I pop some of this on a few times a day, sleep with it on too and wake up the next day and the spot has dried up or even disappeared! I have never come across a treatment gel as good as this and once it's ran out, I will definitely be re-purchasing it! A good facial wash is hard to find, especially one I can use everyday without drying or greasing out my skin too much but the Purifying Facial Wash* is light enough to leave your skin feeling fresh and clean without taking away too many of the natural oils to keep it looking healthy and glowing! I use this pretty much everyday in the shower but be careful not to get it in your mouth; it really doesn't taste too nice, ha! 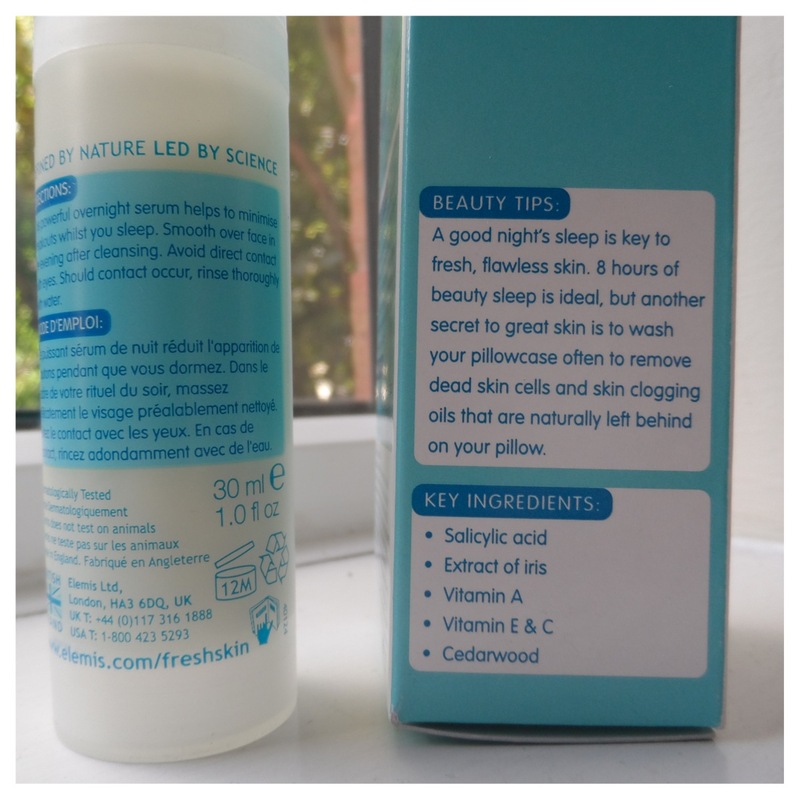 Now, the Overnight Serum* isn't something i've been using as regular as the other products but I have reached for it a few times and enough to give an honest review of it. 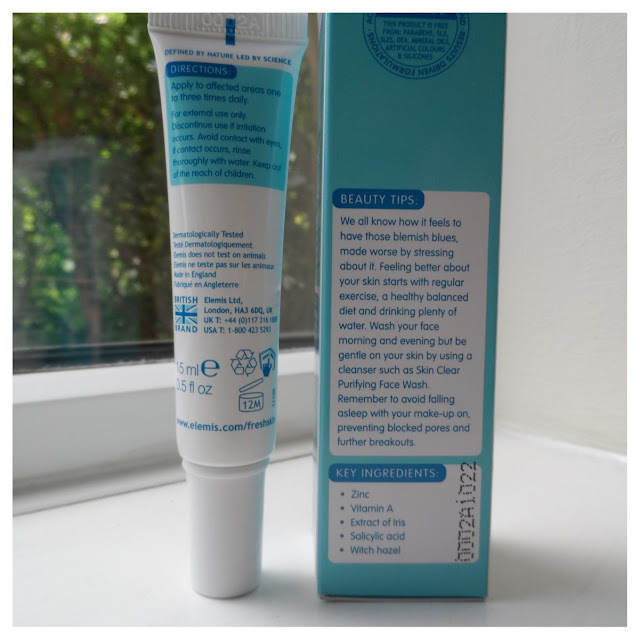 I find that it's a little too greasy for my skin and doesn't sink into it as well as other serums I have tried. I find that if I apply it just to my cheeks, it feels better than applying all over my face. I don't feel like I need a night serum to improve the tone of my skin at the moment so this one for me is just a little unnecessary. 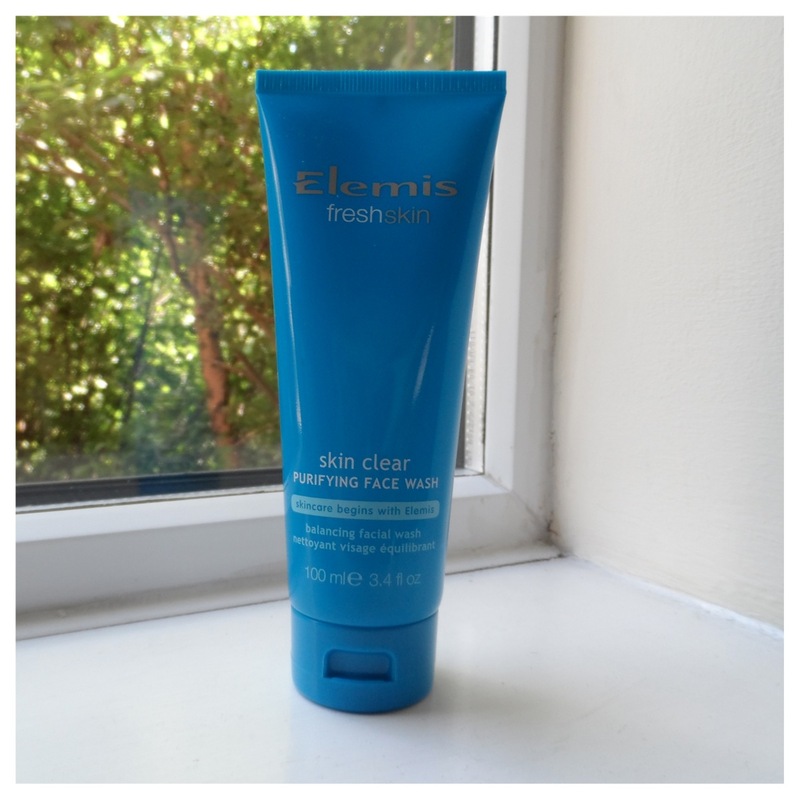 Have you tried Elemis before?! 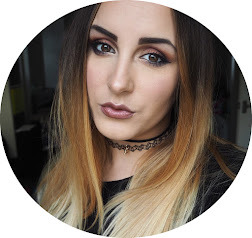 What are your favourite products!? The treatment gel sounds amazing, could have done with that a couple of days ago! Spots always pop up at the most inconvenient times for me I will definitely look into adding the treatment gel to my collection. This sounds like such a great line! I will definitely have to try some of these products!